Generally, credit card fraud is defined by the unauthorized use of credit card information to make purchases or remove funds from the cardholder’s account. There are many forms of credit card fraud, as there are many other forms of mail, wire, and other types of fraud. What Does New York Consider Credit Card Fraud? Theft of Services: A person unlawfully makes a purchase or withdraws money with a credit/debit card or information that he or she knows is stolen. Unlawful Use of Credit Card, Debit Card, or Public Benefit Card: A person unlawfully uses a credit/debit card or public benefit card that he or she knows is revoked or cancelled. These are usually not extensive crimes, and can easily be traced when a cardholder or business catches the unlawful transaction. These cases will be tried in New York State criminal courts. Both crimes are classified as class A misdemeanors. If you are charged, you could face up to one year in prison and/or a fine of up to $1,000. When Is Credit Card Fraud a Federal Offense? 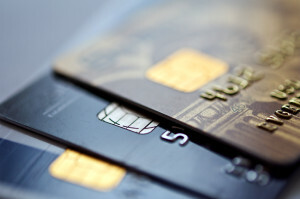 Credit card crimes that involve criminal activity above and beyond New York’s fraud guidelines will be tried in federal court. As a general rule of thumb, crimes that involve federal organizations or cross state lines are often charged as federal crimes. For example, if credit card information was obtained by stealing a cardholder’s mail, or using his or her own address to get cards delivered to the defendant’s home, the crime involves mail fraud. Since the U.S. Postal Service is a federal organization, the crime could be charged as a federal offense. Often, identity theft occurs across state lines. If you are in New York and steal the identity of a person in Illinois, multiple states are involved in the case and will become a federal issue. Other factors, including the criminal history of the defendant or the businesses affected by the credit card fraud, can affect the status of the crime as well. If a crime is charged at the state level but later evidence shows the crime to involve federal organizations or multiple states, the crime can easily be handed over to the federal court. If you have been charged with credit card fraud, it is important to understand where your case may be taken and what is next for you. An experienced law professional will guide you through each step of the process and what your options look like for the future. There are ways to defend against credit card fraud in both state and federal courts. Contact a Brooklyn criminal laywer today for a free consultation and case review.